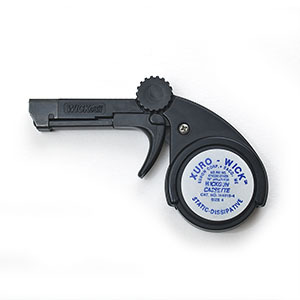 A compact desoldering braid dispenser for printed circuit board repair and related work that enhances worker safety, increases productivity, and reduces waste is available from Xuron Corporation of Saco, Maine. (Read more). available in width 0.9 / 1.5 / 1.9 / 2.8 mm. 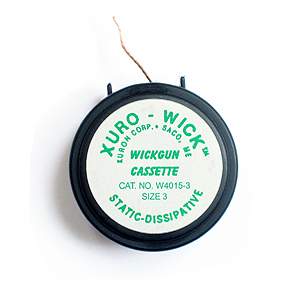 The cassettes can also be used without the WickGun™ dispenser.